Welcome to team4tucson.com! You have found the right place to search for Tucson Homes, whether for sale or for rent. 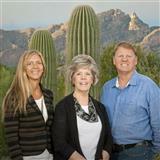 The Anderson Team services all of Tucson, Oro Valley, and Marana areas. We have over 60 years of combined experience in Real Estate. As team leader Charlene has been an Associate Broker / Manager for over 30 years and has been in the top 1% annually. She has received annual Re/max 100% and Platinum awards, the Re/max Hall of Fame award and Re/max Lifetime Achievement award. Her CRS designation and commitment to Arizona Professional Standards show integrity and commitment to our clients. We would consider it an honor to help you buy or sell your home. Our team is sincere when we say, " it's not just business, it's personal." We pride ourselves in caring, professional representation. Our full service Property Management includes both owner and tenant representation with 10 plus years of experience.